Paper Raindrops: No boring plants allowed! I recently got some new houseplants, so I thought I'd show you my plant collection! 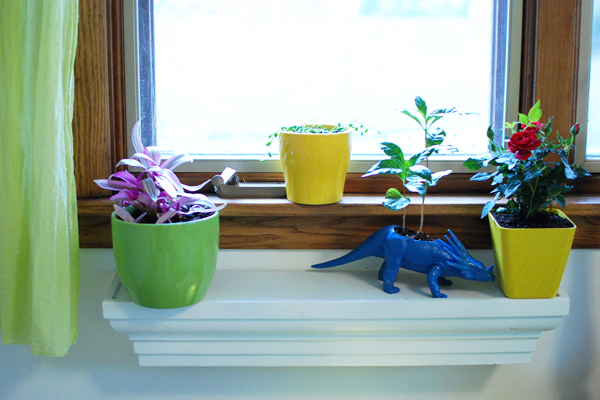 Yes, that is a dinosaur planter! Pretty sweet, huh? I know you're all distracted by the dino, but don't ignore the beautiful rose! Or the plant in the dino! That plant is actually a coffee plant. Yes, it is a real coffee plant. And no, it does not grow me coffee beans. It's not mature enough for that. And anyways coffee plants are tropical and don't zactly thrive where I live ... bleh. 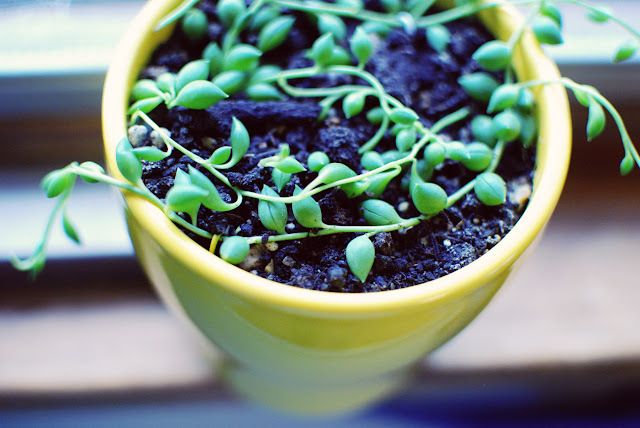 The next plant is a String of Pearls plant! 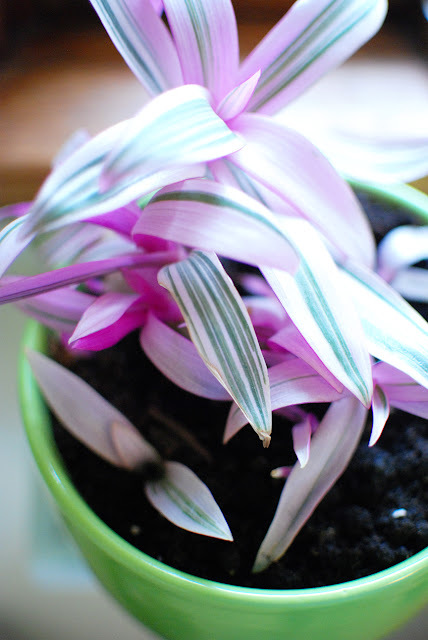 I just got some cuttings of it, and they weren't very healthy when I got them. So the leaves are a little pointy. 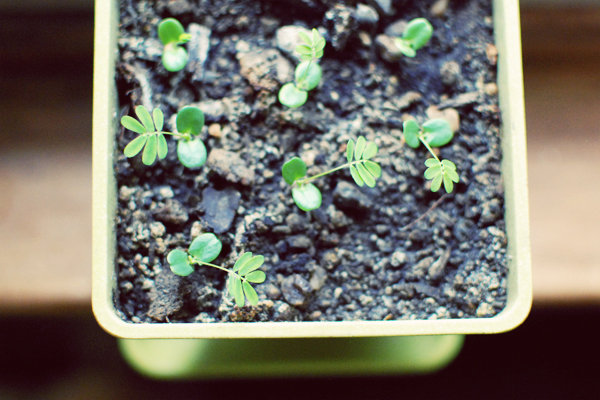 But I'm hoping that after I take care of it for a while it will grow healthy. A healthy string of pearls plant has completely round leaves that look like green pearls! Google it for images. Seriously. They're pretty sweet. Can't wait till mine looks like that! I had this plant before, but it died during the winter so I'm growing it from seed again. It's still really little, but I thought I'd share anyways, cuz it's amazing. 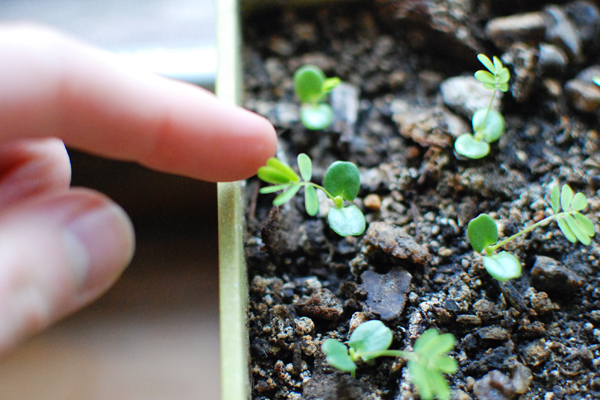 When you touch the leaves, they close up. Right before your eyes, and within a matter of two seconds or so (!). Before touching, notice how the leaves are all open wide. And after about five minutes the leaves will have slowly opened again! And lastly, my new air plant display! 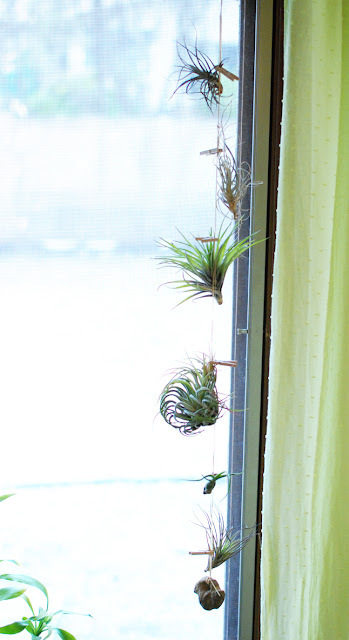 For those of you who don't know, air plants do not live in dirt. They get all their water and nutrients right out of the air! If you want to see close-up pics of each one you can look at one of my old posts here. And there's a ton of super cool plants out there! For example, a plant that looks like a stone? Yeah. Oh, and how 'bout a plant that has flowers shaped like goldfish? I hope to get some more amazing plants this summer. If I do, I'll try to share pics with you! I love bamboo, it's so pretty! I don't think I have a favorite plant, at least not one that comes to mind immediately. I happens to have a cactus! S'got a cute brown polky-dotted planter and it's adorable! Lovely display, Inna. 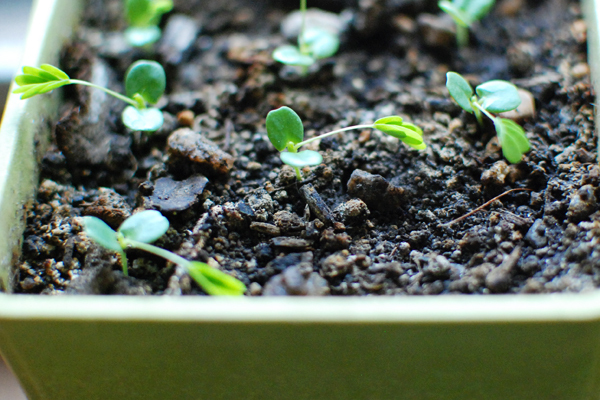 You have about ten green thumbs. 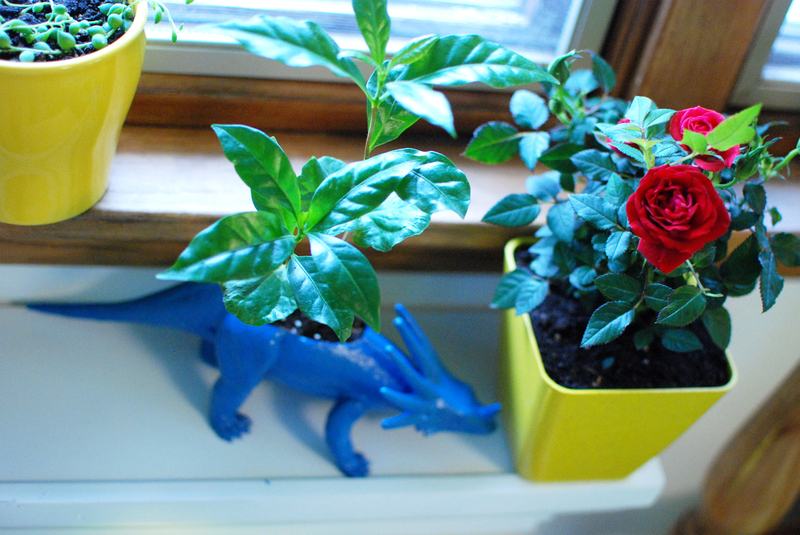 That dinosaur planter is too cute! I like your plants. The photos are pretty.